Bronski Beat had a string of memorable chart hits during the 80s. The band's biggest and most well-known hit was, of course, Smalltown Boy. This was a groundbreaking tune which featured lyrics about the struggles of being gay (something virtually unheard of at the time) accompanied by an infectious and haunting melody. Somerville's unique falsetto tones added to the uniqueness of a much underrated band, and they are undeservingly left out of the majority of the numerous documentaries we have seen about the 1980s. Scottish lead singer Jimmy Somerville left the band in 1986 while they were still at their peak (he was replaced by John Foster) and went on to form The Communards with Richard Coles, who also had several hits. Their first single was a cover version of Don't Leave Me This Way and shot to No.1. You can listen to Jimmy Somerville's latest music at his official website. Just click the photo above to go straight there! The openly-gay British synthpop trio, Bronski Beat, reached #1 on the U.S. dance chart with Smalltown Boy. The song reached #3 in the UK singles chart. Interestingly, the tune also reached #48 in the U.S. Hot 100 which really was groundbreaking for a religious country strikingly opposed to being gay. Indeed, until 2003 it was actually illegal to be homosexual in many states. The track featured on the band's debut album The Age Of Consent which reached platinum sales in the UK. The lyrics tell the story of a boy who was cast away by his family for being gay, and his struggle with loneliness and family misunderstanding. To be honest, I never really understood what the song was about at the time and just enjoyed it for it's haunting synth melody. Other songs released as singles from The Age Of Consent album were; Why? (#6 UK), It Ain't Necessarily So (#16 UK) and I Feel Love (#3 UK) as a duet with Marc Almond. The upbeat follow-up single to Smalltown Boy was about anti-homosexual prejudice and reached No.6 in the UK. It was also a top ten hit in Australia. I always enjoyed this song when it was played on Radio 1 at work, but as with many songs in the mid-eighties, I didn't really pay much attention to the lyrics - I must've been at that age when you don't pay attention to much at all - teenagers huh? 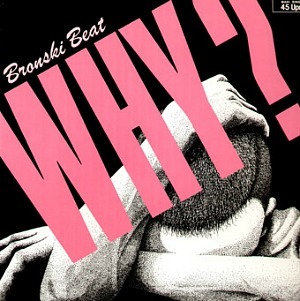 Bronski Beat's third single tackled the issue of racism, although the song and its lyrics were created by George and Ira Gershwin. It featured in the 1935 racially-charged musical Porgy and Bess, and it's a song that's been covered by many artists including The Honeycombs, The Moody Blues, Cher & Larry Adler, Jamie Cullum and more recently by Spanish jazz singer Pedro Ruy-Bias in 2014. 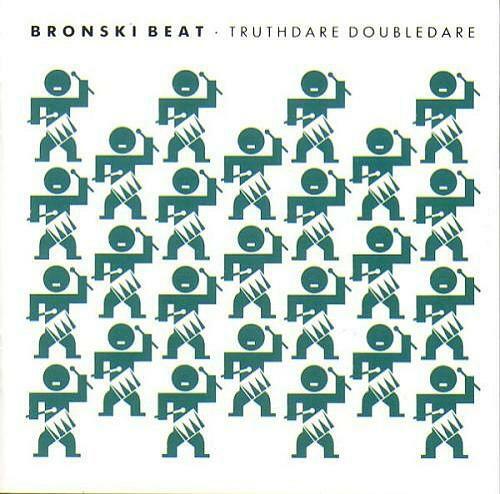 Bronski Beat's version reached #16 in the UK and was a moderate hit in Germany, Italy, The Netherlands and New Zealand. This was the final track to be released from Age of Consent as a single. This clip is from a live performance at the Montreux Festival. Bronski Beat band linked up with the gay frontman from Soft Cell, Marc Almond, to record a version of Donna Summer's classic hit "I Feel Love" in 1985. The full version was a medley, which incorporated snippets of another Donna Summer hit "Love to Love You Baby" and John Leyton's "Johnny Remember Me". The song reached No.3 in the UK charts in April 1985. It was released as a single to promote the remix album Hundreds and Thousands. This remix album was compiled after Somerville had left the band, and it was the final album to feature Somerville's vocals. The album was released on LP, cassette and Cd and featured remixes of tracks from debut album Age of Consent and these were Heat Wave, Why?, Run From Love, Hard Rain, Smalltown Boy and Junk. The cassette and CD versions also included the B-sides Infatuation/Memories, Close To The Edge and Cadillac, as well as the I Feel Love medley with Marc Almond. The album reached #24 in the UK album charts. The video in the playlist above features an interesting remix which sounds like Blue Monday by New order at the start. I was beginning to think the wrong track had been uploaded, but, thankfully, it hasn't. Hit That Perfect Beat appeared on the 1986 album Truthdare Doubledare. It became a big dance hit and like Smalltown Boy, reached #3 in the UK singles charts in January 1986. It also reached the top ten in many European countries and across the wider world. The video for the song featured new frontman and vocalist John Foster who replaced Jimmy Somerville. The song also featured in the 1985 British film Letter to Brezhnev. C'mon! C'mon! was the last ever single to chart anywhere for the band. It was a very mainstream track and one of the strongest on the Truthdare Doubledare album. Despite this, the song peaked at a rather unimpressive #20 in the UK and the popularity of Bronski Beat was in decline. The single also reached the Top 40 in Germany and New Zealand and made #17 in the U.S. Dance Chart. All tracks on this follow-up album featured the vocals of the band's new lead singer John Foster. Sadly, his vocals lack the soul and emotion of Somerville, although they are perfectly adequate for the camp and upbeat 80s dance tunes on offer here. Originals member Steve Bronski and Larry Steinbackek still remained, but despite forbidden lyrics about gay love and aids, they are pretty shallow when compared to the critically acclaimed first album. Fans of lightweight dance pop would feel right at home with this album, though. Truthdare Doubledare reached #18 in the UK and #147 in the U.S. The album also charted in several other countries. John Foster leaves, rejoins, then leaves again! 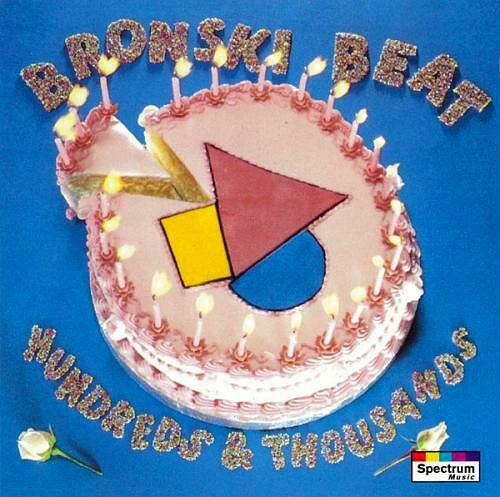 In 1986, three Bronski Beat tunes - Love and Money, Smalltown Boy and Why? - were used in the film Parting Glances, which addressed issues at the time with Aids and HIV related illnesses. The film's director, Bill Sherwood, died from an AIDS related complications in 1990. John Foster left the band in 1987, leaving Steinvachek and Bronski to work on a new album with a working title of Out and About. However, the duo were dropped by London Records before the project was complete. In 1989, the duo appointed Jonathan Hellyer as their new lead singer and the group started an extensive tour of the U.S. and Europe with Annie Conway as a back-up vocalist. Also in 1989, the group teamed up with Eartha Kitt for the single Cha Cha Heels which became a minor hit, peaking at #32 in the UK. The song featured on Kitt's album I'm Still Here. The song was originally intended to be sung by the flamboyant singer, actor and drag queen Divine, but he died in 1988 before the song could be recorded. Between 1990 and 1991, the band released three further singles; I'm Gonna Run Away From You, Once More Chance and What More Can I Say?, although none of them charted. John Foster reunited with the band in 1994 and they released a techno version of Why entitled Tell Me Why 94, followed by Smalltown Boy 94 which was an acoustic version of the original single. 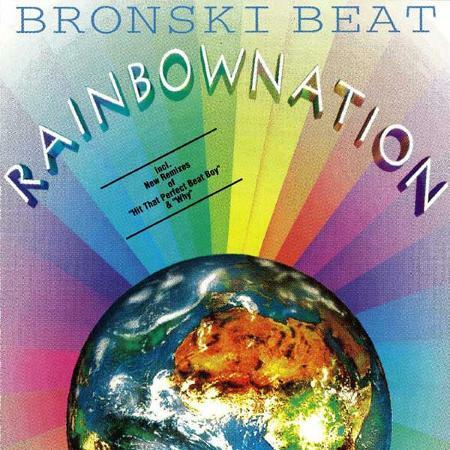 1995 saw the release of a brand new europop-inspired studio album Rainbow Nation, although it was a commercial flop, failing to chart anywhere. Foster dropped out of the group during the same year with Hellyer returning briefly for a second time before Bronski Beat finally disbanded. Two more singles were released before the split entitled I Love The Nightlife and Kickin' Up The Rain. Larry Steinbachek become a musical director for a while, although has kept a very low profile since 1995. Well here's a bargain if I ever saw one! This album has, so far, received no less than ninety 5 star ratings at Amazon. It's essentially a collection of 17 singles, so if you don't own many of them then this is a great buy. 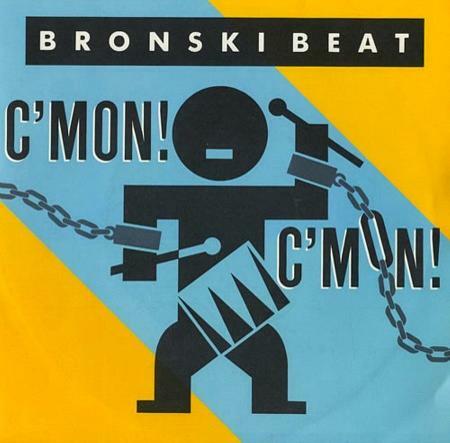 As if you didn't already know, Bronski Beat created many catchy, electro-pop songs during the 80s, with the spine-tingling Smalltown Boy being their most well-known hit. The Communards was a wonderful collaboration between Jimmy Somerville and Richard Coles. Their biggest hit came from the cover version of the Harold Melin disco classic Don't Leave Me This Way, and I actually prefer it to the original. There are no fillers here and nothing has been left out. That's pretty unique for a compilation album, and it makes a refreshing change not to be disappointed. The songs are political and radical, but above all else you want to listen to them again and again. Indeed, this is one of those albums you'll want to play again and again. 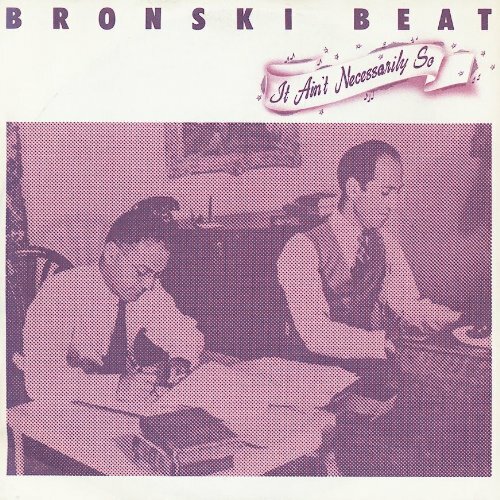 Despite enjoying all of their 80s singles, I never actually bought a Bronski Beat or Communards record, so this album gave me the perfect opportunity to do so.